ATTENTION WEDDING PROFESSIONALS AND VENDORS! 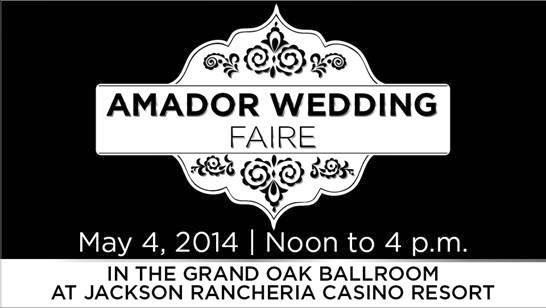 The 3rd Annual Amador Wedding Faire is booked for Sunday, May 4th from 12-4 at the Jackson Rancheria Casino Resort's Grand Oaks Ballroom. Calling all Wedding Professionals in Amador County! Do you have a product or service to offer brides-to-be? Let's make beautiful AMADOR COUNTY a DESTINATION for weddings! $175 Premium – 8' x 8' trade show booth - Curtained backwall, skirted table. $135 Table Vendor – 8' x 2-3' table. Choice of black or white table linen. $75 AmadorWeddings.com Table - Promotional materials only (disposable display holders recommended). REGISTRATION DEADLINE!!! 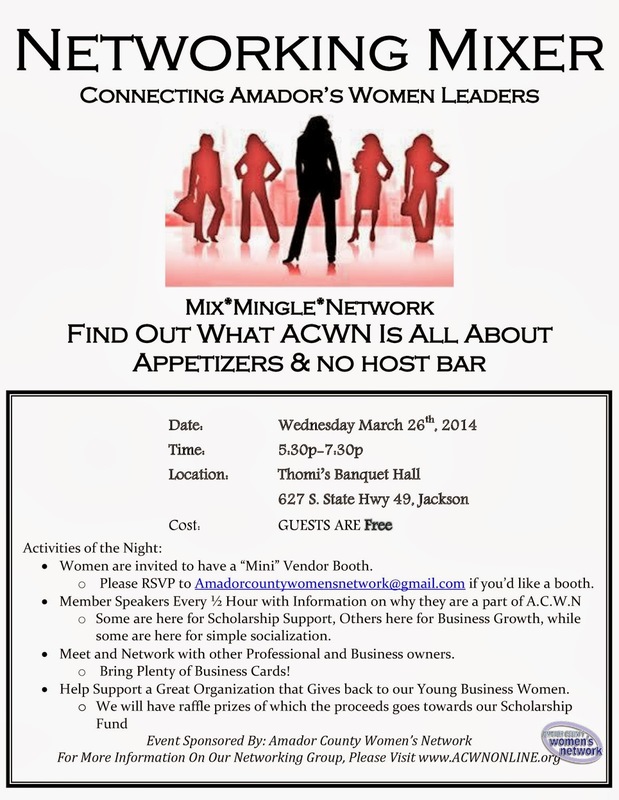 WEDNESDAY, APRIL 16, 2014!!! One (1) free sign with your business name, and table linen. All vendors are required to donate one (1) item to the bridal gift basket raffles. This can be an actual item or a gift card/certificate for products or services. Must be a wedding/bridal-related product or service. For the AmadorWeddings.com Table: You can mail your promotional materials to me (email me for an address), or make arrangements to have me pick them up. E-mail me, Carol Harper at: carol@amadorweddings.com to make arrangements. Please make sure you have enough promo materials for both the RealWeddings' bridal goodie bags AND the promo table! Suggesting 250-500. We will give the left-over promo materials to the Preston Castle and the Kennedy Mine to distribute to the public at their sites. Great exposure for you! NOTE: Regional (Sacramento/Stockton/Tri-County area) wedding professionals are welcome to participate; however, local (Amador County) wedding professionals will be given preference on booth/table spaces and locations. Complete information, including all required Vendor Registration forms can be found at AmadorWeddings.com. Can't make it to the faire this year? You can have a business listing on AmadorWeddings.com for just $50/year (yes, year)! PLEASE KEEP IN MIND...THIS IS A FUNDRAISER FOR THE PRESTON CASTLE FOUNDATION AND THE KENNEDY MINE FOUNDATION! Please, no requests for subletting of vendor spaces. 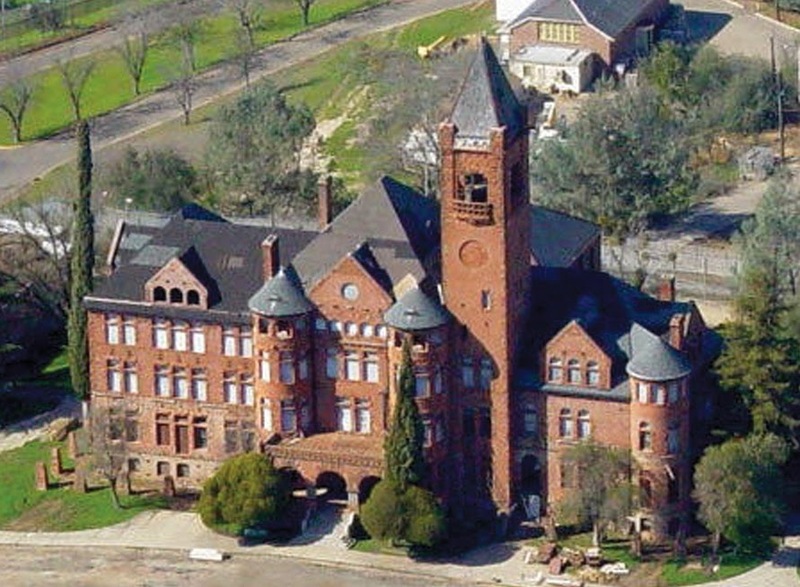 LET'S SUPPORT AMADOR'S HISTORIC PRESERVATION EFFORTS! Special Advertising Offer from JBCA! 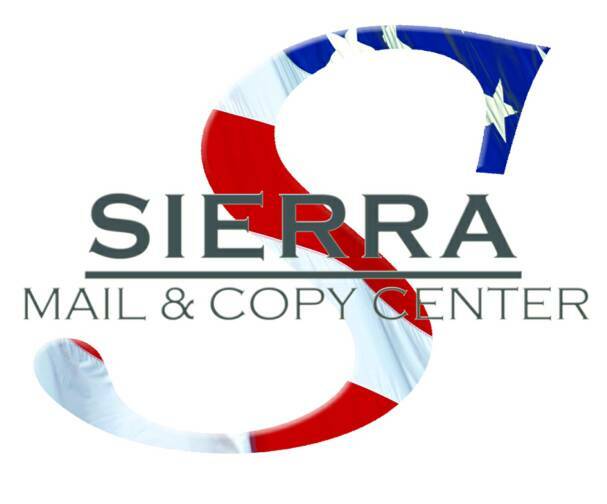 Sierra Lodestar and the Jackson Community Business Association are pleased to announce a new Jackson community page to run twice monthly in the Sierra Lodestar! Now is the time to promote your business in what will be a visitors/locals guide to all upcoming events in the Jackson area -- with a great discount for JBCA members (non-members welcome at standard rates -- or join JBCA today and get the discount!). If you have events or entertainment scheduled now through October, please send your information to Lucy Hackett at johnhaedrich@sbcglobal.net for inclusion on the Jackson Community Page. The Sierra Business Council is hoping to get the word out that, under CA Title 24, Sierra Nevada businesses have until July 1st to receive maximum rebates for upgrading their existing lighting to more efficient fixtures. It would be fantastic if you could help us spread the word about this rebate opportunity for small businesses. Please Click Here to view the press release; thank you for any help you might provide in getting the word out.